You've probably heard all the buzz about Social Media lately and there is a highly valid reason for it. Social Media has become a crucial aspect of online marketing and will continue to be over time as a vital component to Search Engine Optimization. Our talented Social Media Team are pioneers in this space with several years of knowledge and hands-on experience, planning and executing tailored Social Media Campaigns for our esteemed clients. Social Media is the most economical and effective way to "network" with your associates, business contacts, existing clients and potential customers, and best of all, in most cases, it won't cost you a whole lot, if anything. Our qualified Social Media team will simplify the process by identifying your target audience and then implementing the most relative social network strategy that will yield a large following of new and potential customers for you. 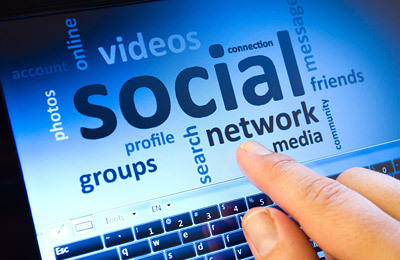 * The Asterick indicates that you can choose one additional social media platform that best suits your business. Setting up all your Social Media accounts is crucial to your business success but it can be a daunting task and a complicated undertaking. Most people know that they need to have a comprehensive Social Media presence but pulling the trigger can be a major hurdle. Therefore, we have devised a strategy to help you easily accomplish this challenge by providing a Social Media “Set Up” service, whereby we will set up one or all of your Social Media accounts for you at a nominal one time set up fee, as listed below. You can get one or multiple Social Media accounts set up, as listed above. Or you may get all of the above Social Media accounts set up for a flat fee of $500, which is a saving of $200!